Cricket in India is acclaimed for the dominance of spin bowlers. Call it the brilliance of spinners or the rank turners which assist them, spinners beat the fast bowlers hands down in India. Ironically, this season of the IPL has had a different variety in store for all of us. There has been a lone spinner amid the top 10 wicket-takers of this season as of now. Now you might appreciate the fast bowlers for adjusting in exotic conditions and beating the spinners hands down. Andre Russell is the current holder of the Purple Cap. He has 13 wickets in nine matches to his name at an average of 17.46 and an economy rate of 7.82. The 28-year old all-rounder from West Indies is also the Most Valuable Player at this point of time. His strike rate of 13.38 is also the best among the top 10 bowlers. 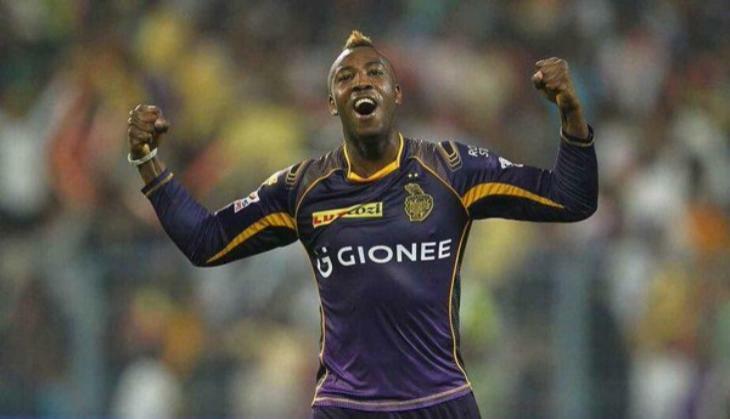 Andre Russell is the current holder of Purple cap in IPL 9. Next on the list is Mitchell McClenaghan, who also has 13 wickets in nine matches but at a higher average and economy rate of 21.15 and 7.97 respectively. He has also bowled the maximum dot balls in this season, 85. The Indian medium-pacer, Bhuvneshwar Kumar, is next on the list with 12 wickets in eight matches. His average of 20.66 is the second-highest among the top 5 bowlers. Also on the 12-wicket mark are Shane Watson and Dwayne Bravo. The all-rounder duo proves as to why they add more to the game via their bowling. Jasprit Bumrah bags the sixth position with 11 wickets in nine matches. His wickets have come at an average of 25.00 and a strike rate of 8.08. The prodigy in Mustafizur Rahman comes next with 10 wickets in eight matches, which have come at an average of 18.00. His economy rate of 6.23 stands for him as it is the best among the top 10 bowlers. Now turns up the lone spinner. At the eight position is Amit Mishra. With an average of 18.20 and an economy rate of 7.00, he has 10 wickets under his belt in 9 matches. Mishra is also the second-highest wicket-taker in the IPL. He has 121 wickets in 107 matches at an average of 22.77 and an economy rate of 7.23. Indian fast-medium bowling duo of Mohit Sharma and Umesh Yadav fill the next two spots. Both have dismissed 10 batsmen in this season as of now. The list given atop is the testimony of the fast bowlers dominating this IPL. At 33, Amit Mishra is the most successful spinner in the IPL. In the overall list of bowlers with most wickets in the IPL, the equilibrium is maintained with five fast bowlers and five spinners making their case. Lasith Malinga bags the first position with 143 wickets in 98 matches. His tally of wickets has come along at an average of 17.80 and an economy rate of 6.67. There are four more fast bowlers in this list in Dwayne Bravo (117), R Vinay Kumar (98), Dale Steyn (92) and Ashish Nehra (91). Apart from Mishra, the Indian quartet of Piyush Chawla (117), Harbhajan Singh (115), R Ashwin (93) and Pragyan Ojha (89) complete the list. 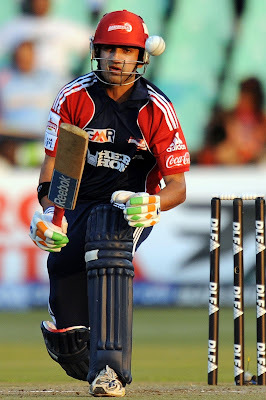 In this season, Chawla has eight wickets in as many matches. The two best off-spinners in India have had a dismaying season each. Harbhajan has managed five wickets in nine matches at an average of 49.00 and a strike rate of 8.16. R Ashwin might have been under-bowled by Dhoni in this IPL but the times when he has bowled have not been the best for him or his team. He has 3 wickets in 10 matches at an average of 72.00. Pragyan Ojha remained unsold in the auction held earlier this year. Perhaps, another reason which has led to the ascend of fast bowlers in this season of the IPL is the horrid form of Indian spinners.